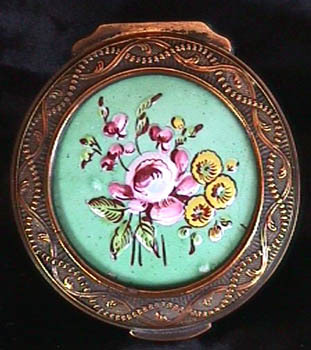 A very unusual Birmingham Gilt Metal Circular Snuff Box, Circa 1775, set with a Bilston plaque in the center with an embossed spray of flowers in colors. No restoration. Best quality.